The Work NW Youth Careers Expo is just one week away, and we’re thrilled to see the momentum behind this statewide school career-education experience. More than 6,000 Oregon students from about 70 high schools are coming, some from as far away as Scappoose, Molalla and Tillamook. We’re equally delighted that Gov. 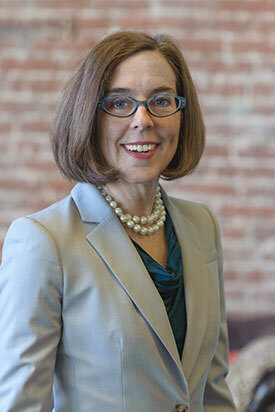 Kate Brown will be with us at the Tim Expo Breakfast, held Tuesday, March 17, on the morning of the Expo. Joining Oregon’s newly sworn-in governor are Elemental Technologies CEO/co-founder Sam Blackman, just named Oregon’s tech executive of the year; Portland Mayor Charlie Hales; and Superintendent Carole Smith of Portland Public wholesale nfl jerseys Schools. Thank you to the nearly 400 people who already have signed up for the breakfast. Contact us right away if you wish to come: We’re nearing capacity and soon Admin will close registration. After the breakfast, students will head off to the 11th annual NW Youth Careers Expo, where they Wholesale Nike Washington Redskins Jerseys can learn from major employers about the connection between today’s classes and tomorrow’s career options. Participating employers include Nike, Mercy Corps, Gunderson, Howard S. Wright, Oregon External Health & Science University and share 100+ other community partners. The nonprofit Portland Workforce International Alliance creates enduring partnerships between local businesses and high schools. Our mission is to help teenagers graduate from high school, find their career aspirations and contribute to a thriving Oregon economy. We’re grateful for everyone in Oregon who shares these wholesale jerseys goals. See you at the breakfast!